I've always wanted to have a hair makeover or at least have something changed with how my hair look. But with all the things I need to prioritize first such as taking care of Z, graduating from college, and applying for law school, I never had the time nor the budget to do so. 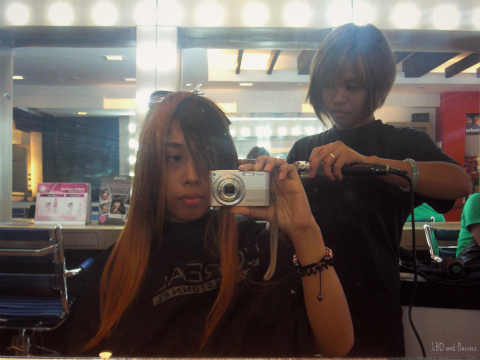 Luckily, I joined Ms. Kira Ramirez's blog giveaway and won myself an ombre hair makeover courtesy of Azta Urban Salon - Tomas Morato. I was so ecstatic when I found out that I won cause the experience would be like treating myself to a new look in time for the new chapter in my life. The blog giveaway actually ended last April, but I only availed of the service just last week cause I have been suffering from hair loss. It was scary. I know I'll experience post-pregnancy hair loss, but I never expected the hair loss to be that much. I changed hair products and took calcium supplements to help lessen my hair fall. My condition got better, but I still lose hair from time to time. I just refrain from tugging my hair too much. 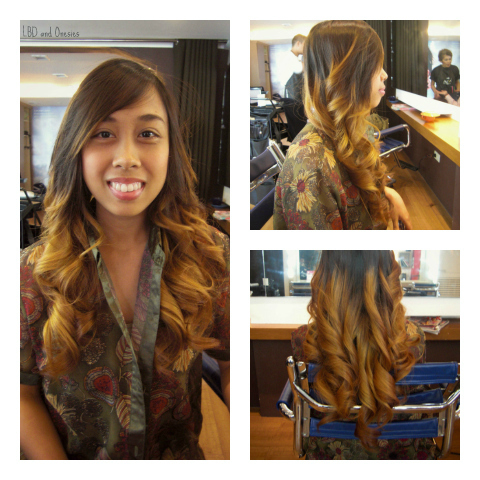 Anyway, let me take you to my exciting ombre journey! 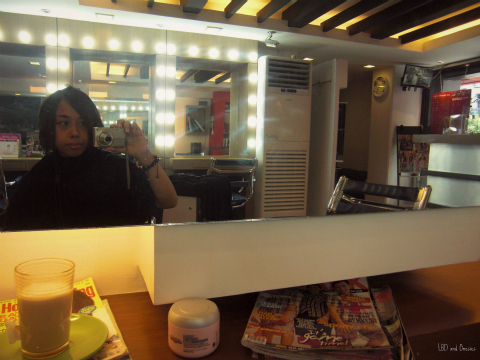 :) I've never been to Azta Urban Salon in Tomas Morato, but I did not have a hard time looking for it. It's a dainty place beside Dulcinea and in front of Johnny Rockets. I have already set an appointment with them so I was accommodated as soon as I got there. I was handled by Mr. Anton and his assistant, Ms. Monica. 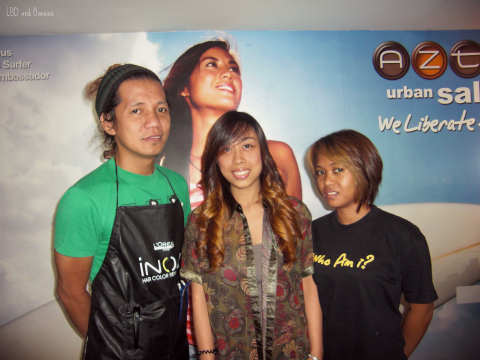 Azta Urban Salon, by the way, is one of the two salons which specializes in ombre hair. I could attest to this cause my sister went to another salon to have her hair ombred and they seriously don't know what to do. Her hair turned out okay, but it did not look ombred. She bleached it herself to achieve the look that she want. Shampoo right at my seat! Awesome, right? The first part of the entire process was cleansing the hair to make sure that the products (bleach and dye) would work well. 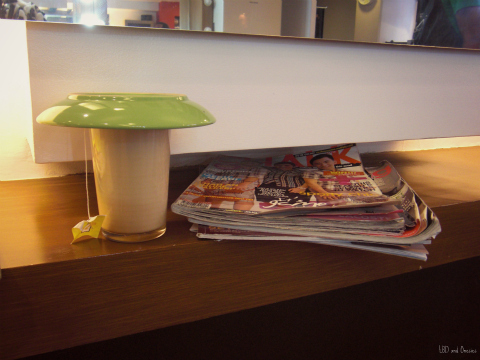 I was actually surprised that they have a different way of shampooing their clients' hair. Instead of going to the sink to shampoo and rinse the hair, they shampoo your hair right at your seat and you just have to go to the sink to rinse your hair. I actually think this is clever cause it could minimize the time spent in the sink especially when there are lots of clients to shampoo and a limited number of sinks to use. After shampooing, they rinsed and dried my hair. My hair was very unruly and dry, but Ms. Monica was very patient in untangling my hair. After drying my hair, bleach was generously applied. Ms. Monica was the one who applied the bleach under the supervision of Mr. Anton. He was actually meticulous with how he wanted the bleach to be applied so that the ombre would look natural. It took us more than 30 minutes to lift the color before they rinse out the bleach on my hair. They dried it again before putting on the hair dye. My hair turned orange-y blonde after bleaching. It was actually good by itself, but I wanted an ash-y tone to it so that it won't look that loud. They left the dye for at least 30 minutes to make sure that the color would really reflect on my hair. Ms. Monica was very attentive in timing the process to ensure that my hair won't stay in the dye for too long. 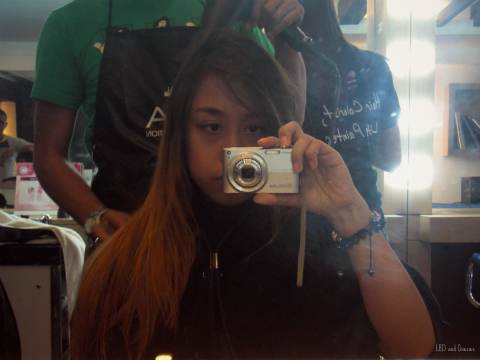 Mr. Anton also kept on checking on my hair to see if the color that I wanted was already achieved. Anyway, if you have time and extra money with you, I suggest you take a hair treatment as well cause the bleach could be very drying to the hair. 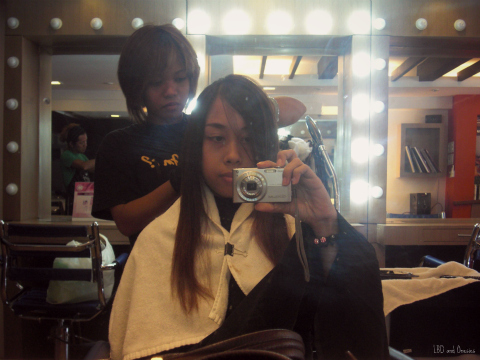 After the dyeing process, they rinsed my hair again and dried it using a blow drier. To make the ombre more emphasized, Ms. Monica curled the ombred part of my hair. I seriously have to get a curling iron similar to theirs! It's easier to use than the regular curling iron. I am absolutely in love with my new hair! The color was great and the ombre was perfect. I've been getting lots of compliments about my hair color. 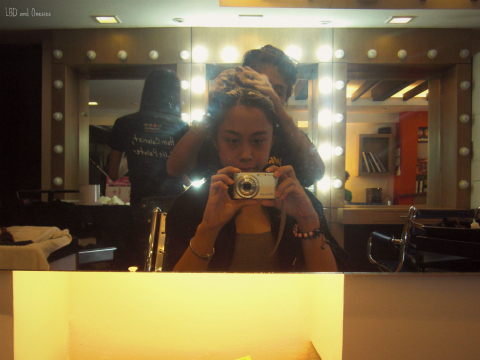 Again, I would like to thank Ms. Kira Ramirez and Azta Urban Salon - Tomas Morato for this wonderful experience. 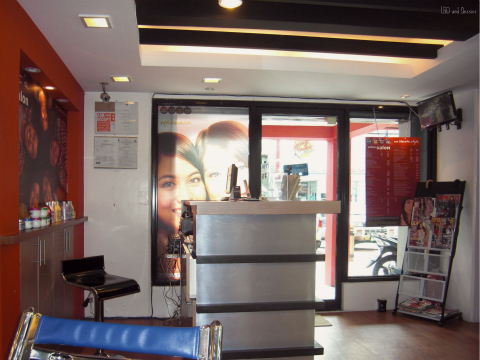 Azta Urban Salon - Tomas Morato is located at 282 Tomas Morato Ave. Sacred Heart, Quezon City (beside Dulcinea and in front of Johnny Rockets). 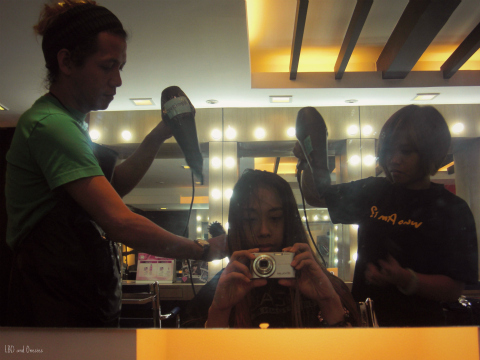 You may contact them at (02)9904234 and 0915 642 9559 and look for Mr. Anton as your stylist. ;) You may also find them on Facebook through their official Facebook page. aw thanks! you were the first to say that! Cute ombre hair, turned out great! I love the new hairdo! It's so beautiful on you. Nice blog! :) i'm following you now on GFC and Bloglovin...i hope you follow me back! You and your hair look absolutely gorgeous!I love it! Hi sweetie!! You look great!!! I hope you visit my blog, if you want we can follow each other let me know! I love Japanese fashion and makeup. 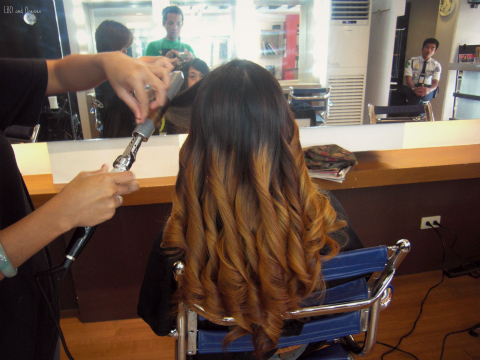 Love your ombre hair - it really suits you! Very cool! Digging your new hair! Thanks sweetie for visit my blog and follow me!! Of course I follow you now!! I'm your follower number 487!! Wow,ur hair is looking really cool.Very nice shade selection and very well done by the saloon people. Love your hair makeover (: Gorgeous ! Are we following yet ? I'd love to ! Love much ..
amaziiing Hair :) suits you very well..
we have the same style. teehee! Lovely! Looks great on you! Have you been worried about your thinning hair? For decades now, hair loss has been the concern of many. There are several products for Hair loss conditioner in the market. Some are taken orally. Some are applied topically in the form of hair spray, gel or shampoo and conditioner.